Jon Michaels is Professor of Law at UCLA School of Law. His scholarly and teaching interests include constitutional law, administrative law, national security law, the separation of powers, presidential power, regulation, bureaucracy, and privatization. Michaels (view CV) is a graduate of Williams College, Oxford University, where he was a Marshall Scholar, and Yale Law School, where he served as an articles editor for the Yale Law Journal. Michaels clerked first for Judge Guido Calabresi of the U.S. Court of Appeals for the Second Circuit and then for Justice David Souter of the U.S. Supreme Court. Immediately prior to his appointment at UCLA, Michaels worked as an associate in Arnold & Porter’s National Security Law and Public Policy Group in Washington, DC. 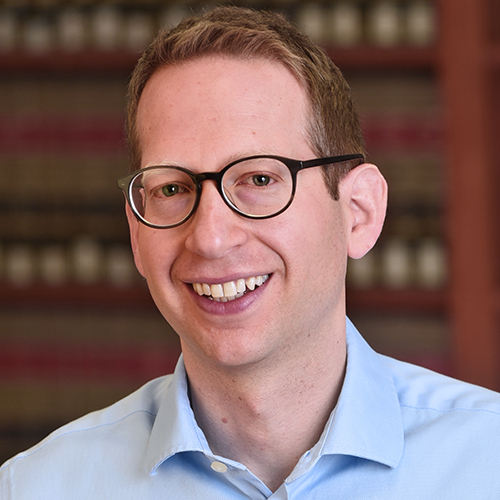 A two-time winner of the American Constitution Society’s Cudahy Award for scholarly excellence in administrative law, Michaels is a frequent legal affairs commentator for national and local media outlets and contributes regularly to the Take Care blog. All the President’s Spies: Private-Public Intelligence Gathering in the War on Terror, 96 California Law Review 901-966 (2008).